If you consider yourself to be someone who cares for others easily, then you might well be considering a job in healthcare as your next career move. The truth is that there are many roles within the healthcare industry which could be suitable for you, and it is worth looking around at the many different jobs to see what might be good for you as an individual. If you are keen to get such a position, however you will need to know what it actually takes to get there, and that is what we are going to look at today. 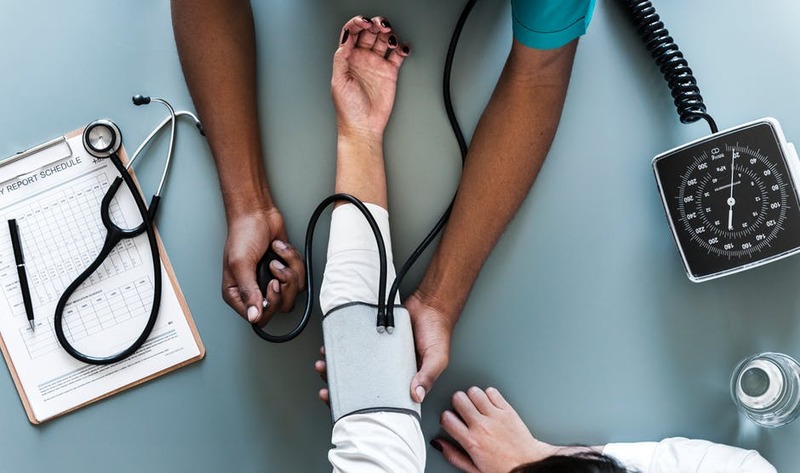 In this article, we are going to discuss some of the key points you need to think about if you are going to try and get a job in healthcare, no matter which kind of role it might be. Consider the following if you want to land that job any time soon. Before you set out on the path towards that job, you do need to work out what kind of job it is actually likely to be. If you don’t do this, then your efforts are likely to be more disparate, and that will almost certainly mean that you are less able to actually achieve what you want. So the first thing is to think about what kinds of skills you have and what jobs they relate to in terms of the healthcare industry. If you want to spend your time caring for those who are sick, something along the lines of a nurse might suffice. If you are hoping to instead practice medicine, then you know that you need to put in those many years of study first. Whatever it is, make sure you are clear on your niche, so that you can begin to work towards it in the best and quickest way possible. You can then be sure of finding work that falls in line with what you actually want to do. Whatever it as, it is highly likely that there is always going to be a lot of training you need to get first and foremost, in order to land that healthcare job. This is true for everyone within the industry, so you need to make sure that you fist carry out your research of what kind of training you need to get and how long it is likely to take. You might be surprised in some cases about how long it is going to take, or it might be exactly what you thought. In either case, make sure that you are happy with it before you set out on the path, as there is very little you can do about it otherwise. Make sure aso that you are going to have the necessary time and freedom in your schedule to carry out the required training. If you don’t, you will either need to make the time or change tracks entirely and go for something that is actually likely to work. Along with all of this, you will also need to think about how you are actually going to fund the training that you are going to get. This can be one of the more difficult elements of the entire process, but it is something which you do need to think about if you are to land the job that you want in the world of healthcare. Funding your training could be a case of self-funding, in which case you should think about how you are actually going to make that work and whether you can scrape it together in the first place. However bear in mind that there are also many programmes and grants which you might be able to use in order to help you with that funding process, so it is absolutely worth thinking about that as well. If you are to get the training you need, you need to be able to afford it, and along with funding the costs of itself you also need to make sure you are going to be able to support yourself as well. It is worth thinking about all of these things first so that you don’t land yourself in trouble further down the line. Once it is time to actually start training, and you have decided on what is right for you, you might need to start thinking about where you are going to go to actually get that learning done. It might be that you don’t need to go anywhere. Sometimes it is a simple case of taking a healthcare administration mba online or similar course, in which case you can do it from the comfort of your home. Or it might be that you need to go to a local institution to learn the necessary lessons you need to learn. In any case, make sure you are clear on where you are going, what training you need, and how long it will take, and get going. Once you start training you will probably have that first feeling of something actually happening, as though you have really got the ball rolling. This is a great feeling to have, and it’s something which you might want to think about in order to continue your progress and advancement even more. Use this feeling to further yourself, and you might find that it really does make a huge difference. After a while might hopefully come the opportunity for your first actual role, something which you have probably been waiting for for a long time. When it comes, you want to make sure that you make the most of it, which could mean that you need to really pay attention as you are on the job. In many ways this first role is hugely important as a form of further training itself, os make sure that you are absolutely getting as much out of it as you can. As long as you do, it should help to further your career greatly.